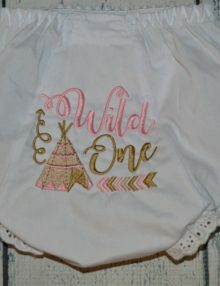 double seated bloomer with elastic waist and legs. 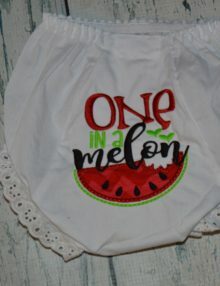 Categories: Accessories, Birthday Apparel, Bloomers, Girls. 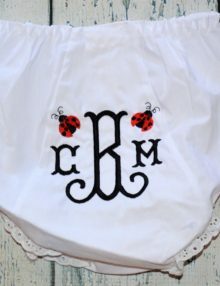 Tags: birthday bloomer, personalized bloomer. 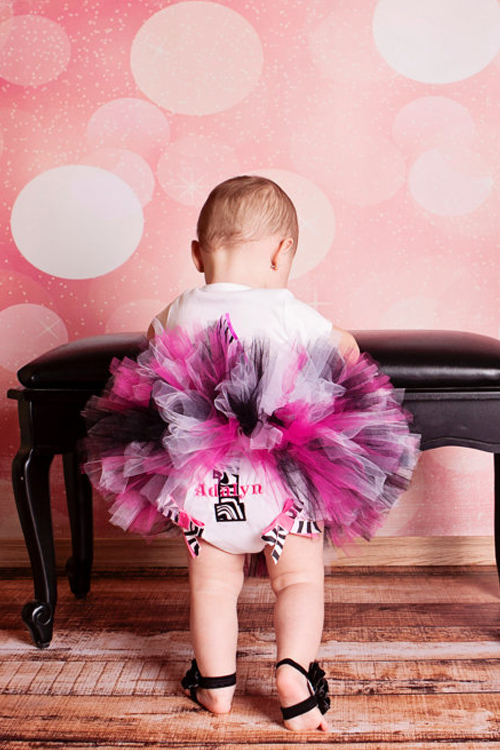 Personalized 1st Birthday Zebra Birthday Bloomers is a pair of bloomers with a zebra number one appliqued with your child’s first name personalized in hot pink. There are double layer bows sewn onto the legs in zebra and hot pink. 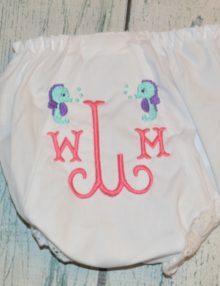 Please add the first name to personalize your bloomers in the notes during checkout.